Produktinformationen "Korean Made Easy Starter (Buch + MP3 CD)"
Korean Made Easy-Starter targets those who have no reading knowledge of the Korean alphabet (Hangeul). Through various practice exercises, activities, and games, this book provides an enjoyable way to learn how to listen to, pronounce, read, and write Hangeul. The ultimate goal of Korean Made Easy-Starter is to equip learners with the necessary expressions needed in everyday situations. Although it is the third book published in the Korean Made Easy series, this book lays the foundation for Korean Made Easy for Beginners, so I hope it will be received as a welcome must-have for absolute beginners of Korean. - This book consists of an introduction, ten chapters of lessons, and twenty-four useful expressions. The introduction aims to explain how Korean differs from English and to foster an understanding of the distinguishing characteristics of the Korean language before learners begin their study of Hangeul. 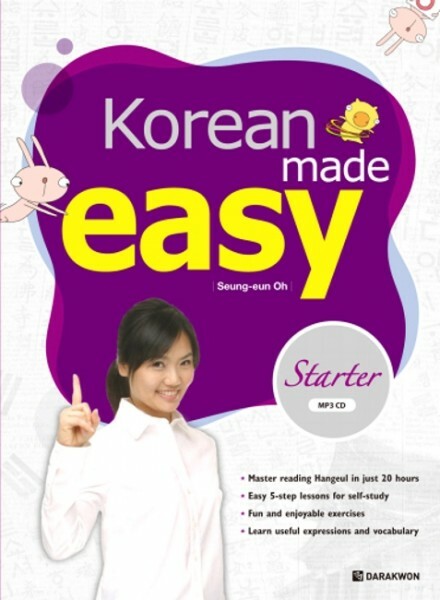 Weiterführende Links zu "Korean Made Easy Starter (Buch + MP3 CD)"
Unser Kommentar zu "Korean Made Easy Starter (Buch + MP3 CD)"
Kundenbewertungen für "Korean Made Easy Starter (Buch + MP3 CD)"